Yash Mistry: Graphic Designer. Web Designer. Photographer. Storyteller. Soulful. Purposeful. Thoughtful. Can you think of three better words to describe a storyteller? I can’t. Funny – those are the three words I choose to describe almost 25-year-old Yash Mistry. And he is, in fact, a storyteller. When Mistry and I sat down, and asked him point blank what he did professionally. Oprah Winfrey Super Soul Sunday moment. That’s IT. Anything that tells a story. Mistry grew up gravitating towards stories, but, more so, stories told in a different way. He candidly admits he sketched more doodles in his school notebooks than words which I think subconsciously laid the groundwork for what would become Mistry’s design philosophy – there’s more than one way to tell a story. He grew in India, and moved to the United States at age 18. His father’s business suffered a tremendous loss that left the family thinking that they needed to make a move – literally. Mistry’s uncle – his mother’s brother – sponsored the family. They received their visas to travel to the U.S. on Mistry’s 18th birthday. Nine days later, they were in California. Mistry describes the experience as challenging – but not difficult. 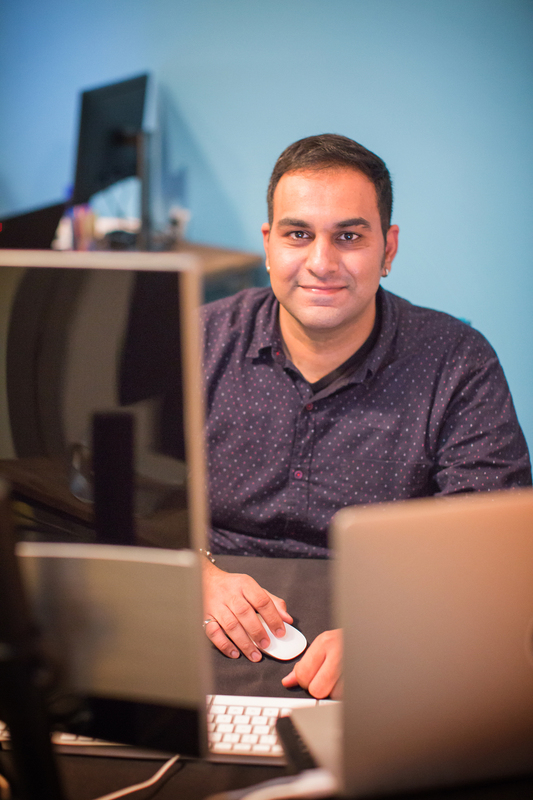 When the family made that move to Charlotte in May 2010, Mistry hit the ground running. Then, an experience in video production got him into graphic design and illustration. When he started to learn the tools and strategies by which to tell stories, the storyteller in Mistry started to truly emerge. 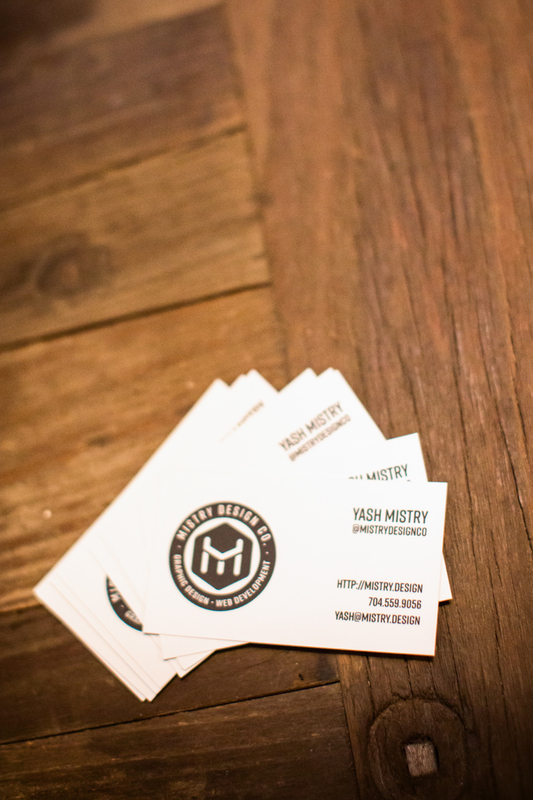 Mistry Design Co. was born. Mistry started thinking more about audience. As much as Mistry thrived on creating stories and content for audiences critical to his clients, he was craving the need to address another audience – an audience such as himself, a creative seeking stories from other creatives. Mistry’s Uncharted Narratives series tells the stories we haven’t heard before. On a metaphysical level, he tells the stories of the storytellers, examining their creative processes and strategies. In reality it comes down to this – Mistry shines the spotlight on creatives we recognize in Charlotte, but perhaps want to know more about. Prime example: TEDx Charlotte Emcee Mike Watson. Mistry records much of the video series from Hygge, where he works from a dedicated desk space at the Hill Street location. 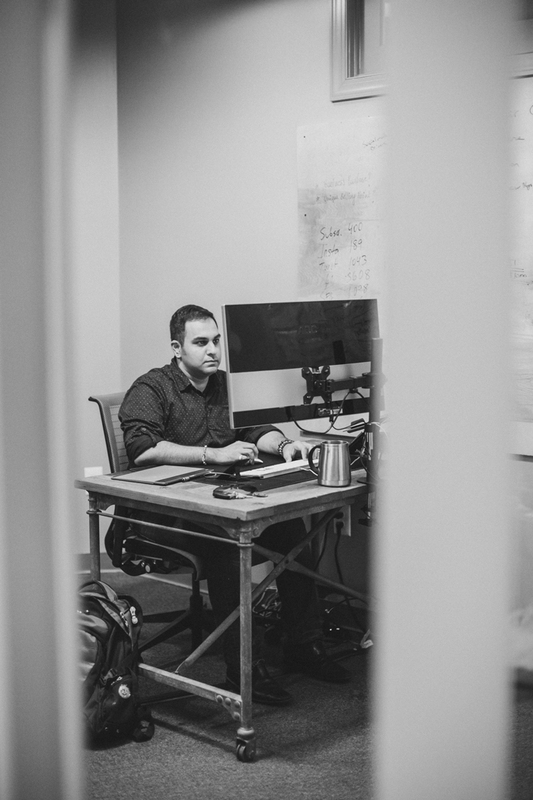 Mistry discovered Hygge through Founder Garrett Tichy. As creative as Mistry is, I was wondering if the dedicated desk felt confining to him or would obstruct all that’s possible for his creativity. Turns out it’s quite the opposite. He comes by that honestly. His favorite book – which he’s read three times – is Seth Godin’s The Icarus Deception in which Godin touts the benefits of making art and choosing to pursue those things that are creative and unpredictable and bold and brave.